What is the first thing you notice when you visit someone’s house for the first time? More often than not, it’s their living room. Since the living room is the place where guests are seated, served, and entertained, it is the place that reflects the hosts’ taste in terms of design and décor. Therefore, people usually go the extra mile to ensure that the furniture, wallpaper, decoration, and lighting used in this portion of the house is impressive, fancy and comfortable. However, desiring for such a living room and bringing it to life are two entirely separate things. As most of you are not professional designers with mastery in home decorating skills, it usually becomes quite challenging to create a stunning visual balance with your living room sets. There are sets of various colors, designs, fabrics and styles available in the market; you need to select the ones that complement the overall look of the room best. In this article, we are going to talk about some simple living room decorating tips that will transform your room into an aesthetic masterpiece and will mesmerize your guests. There are two advantages of choosing a bright yet neutral color for the walls of your living room. Firstly, such colors make a small space appear wider and less congested. Secondly, brighter colors look deep and welcoming, which automatically enchants your guests and uplifts their mood. 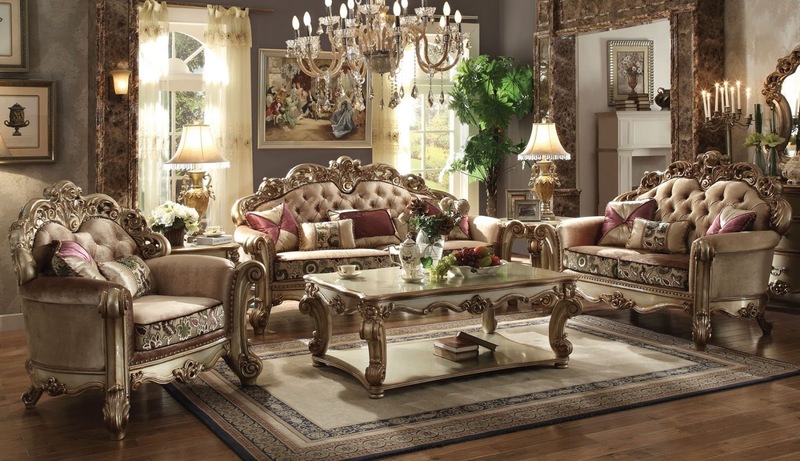 When it comes to living room sets, there are several options to choose from. However, you have to select suitable type of seats as per the space available in your room. If you want recliners, obviously, you would need a bigger room. Otherwise, you can have couches or loveseats, with window seats to add variety as well as class to your living room decor. Few things are better than a beautiful tall lamp in the corner of the room, illuminating the space with a soothing, warm light? If you want to alleviate the elegance of the room, there is no better option than adding some antique lamps of various sizes and designs. However, you should choose for softer and gentle colors that are not harsh on your guests’ eyes. After completing the furnishing of the room, if you are left with plenty of space, then filling it up with some traditional coffee tables is going to be a superb idea. You can add the cherry on top by accessorizing these tables with colorful, sweet smelling candles or your finely framed pictures. There is no rigid style or design when it comes to home décor. Anything that you find complementing your place is beautiful enough to be added to your rooms’ decoration. If you are searching for high quality living room set at an affordable price, visit Home Cinema Center for further details.